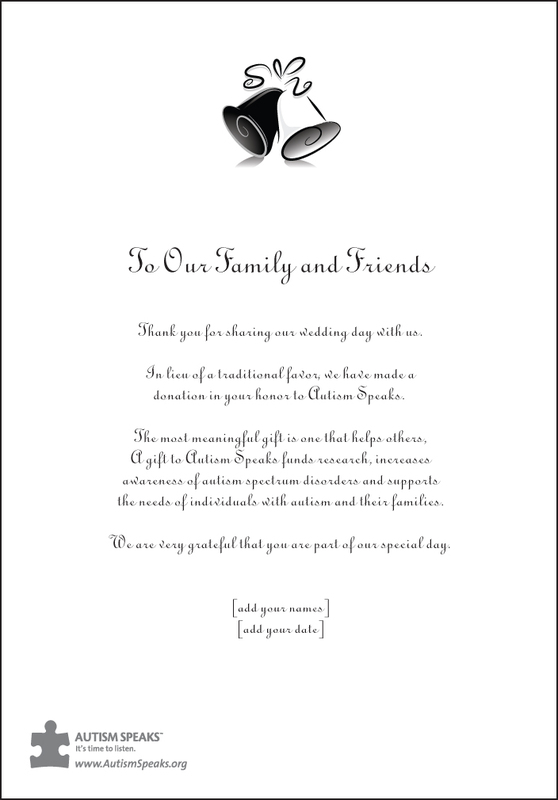 Announce your contribution that will support research, awareness and advocacy efforts with your choice of invitation cards, table tent cards, scrolls or bookmarks containing a heartfelt message about your charitable gift. Once you have completed your donation you will be able to select and personalize your annoucements. 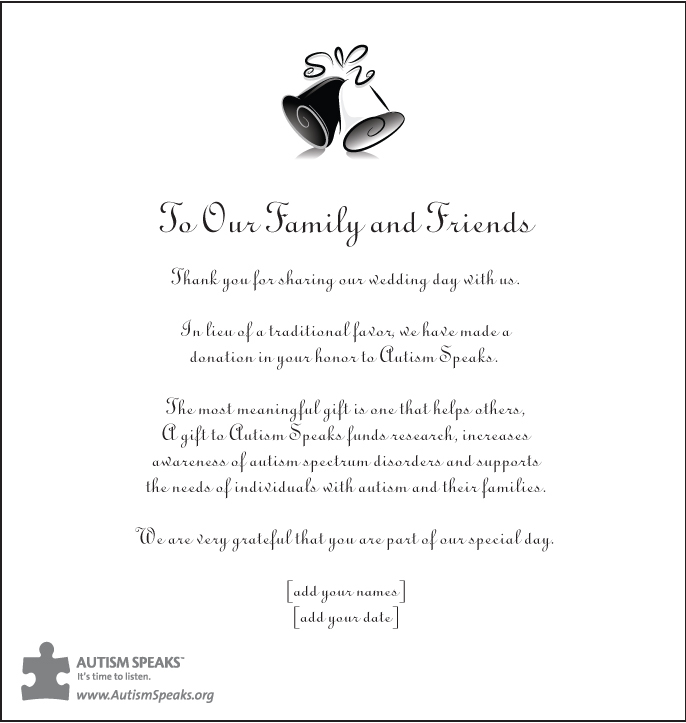 If you would like to have your guests donate to Autism Speaks rather than give you gifts, please create a fundraising page at fundraising.autismspeaks.org. You'll get a personal fundraising URL to share with your guest. To continue with your online gift, please select the quantity of favors and enter your donation amount below. 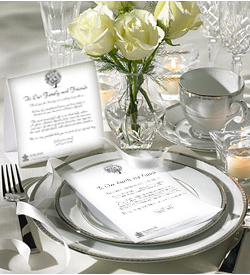 We recommend 4 tent cards per table. Orders are processed as received and take approximately 5 days plus shipping time for receipt. * Does not include shipping or handling. Copyright © 2015 CPN Solutions, LLC. All Rights Reserved. 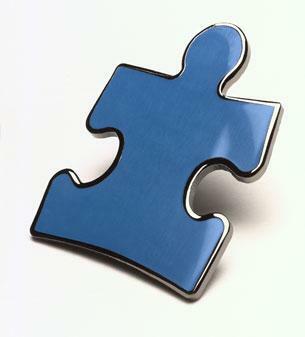 Autism Speaks and Autism Speaks It's Time to Listen & Design are trademarks owned by Autism Speaks Inc. All Rights Reserved.